Fall is officially here on Wednesday, and early autumn becomes quite popular for engaged couples who love this season and want to get married while the weather and scenery is still pretty. I’m envisioning a fall tablescape outdoors, beneath beautiful trees with colors ranging from dark greens to oranges and browns, alongside a picturesque lake. I am totally feeling light colors for Fall again, but unlike last year, I’m loving them with pops of deep colors. I’m picturing soft hues; whites, blush pinks, creams, and greens alongside hints of rich Marsala, purples and fig tones. Often during autumn, we think oranges and reds, but I find something so beautiful about softer hues during this time of year, they perfectly showcase nature’s natural rich colors. I think a balance of rustic simplicity, with a long wooden table, mixed with traditional like an American fall with classic white upholstered chairs, would work well with this color scheme and setting. A table filled with natural elements; dark clay vases, dreamy linen dyed in dark berry colors, gilded leaves and drinking glasses would complete this fall inspired tablescape. 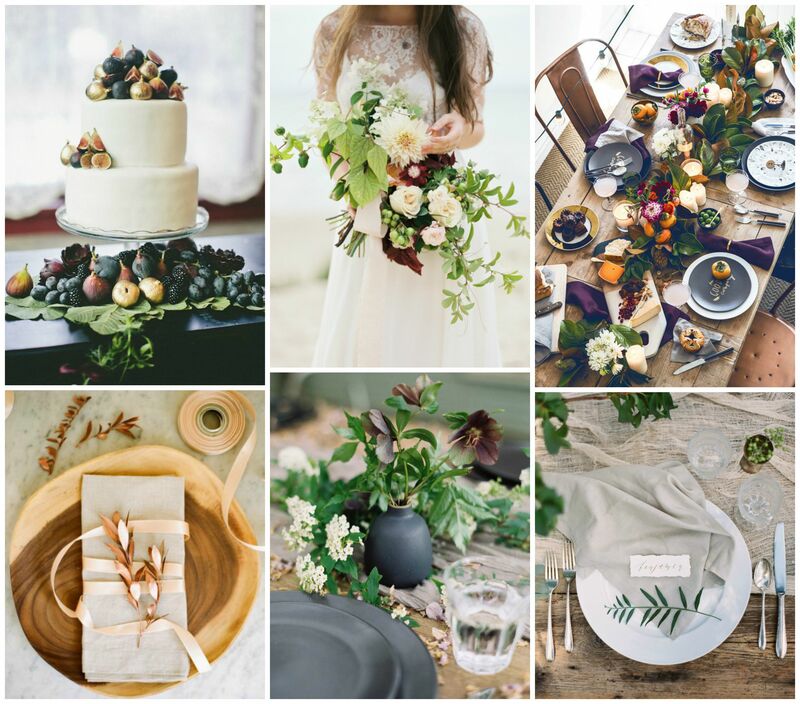 It would work lovely for a wedding well into the winter months, but I’m also really inspired by these images for Thanksgiving, I know getting ahead of myself, but this is a beautiful way to style events this Fall. 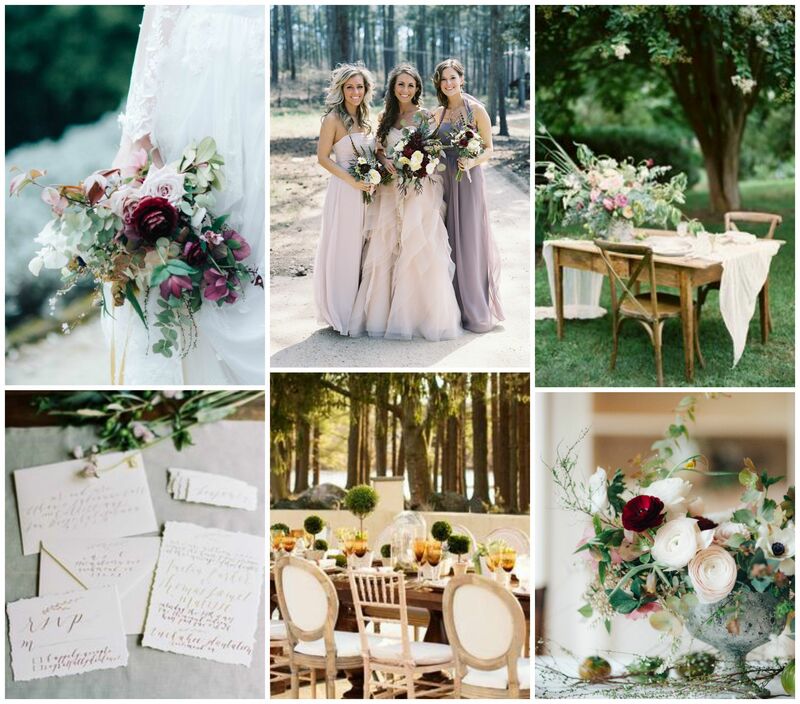 What do you think, are you loving any color schemes for weddings this season? Love those fall colors! 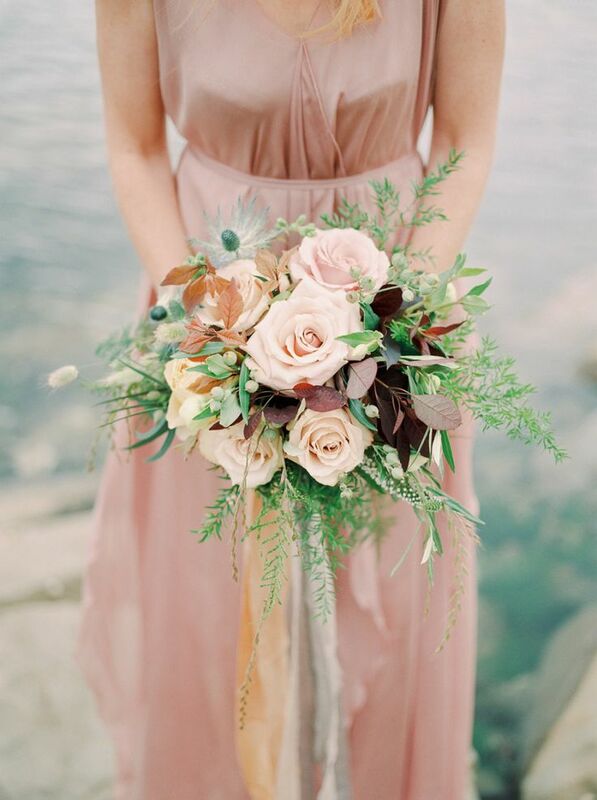 These warm hues of purple are perfect for fall weddings!